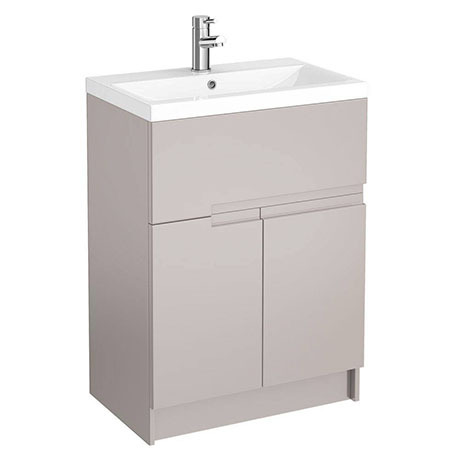 Urban modular bathroom furniture combines a designer look with practical storage. All modular furniture cabinets are pre-constructed and feature integrated soft close hinges and drawers as standard to maximise your enjoyment and minimise unwanted noise. The Urban collection incorporates the handle-less design trend, created in Europe and now highly popular in the UK. This floor standing unit, finished in cashmere gloss, combines both a drawer and door to provide practical storage and comes complete with a square single tap hole basin. With a depth of only 390mm its compact design makes it ideal for smaller bathrooms or when space is limited.